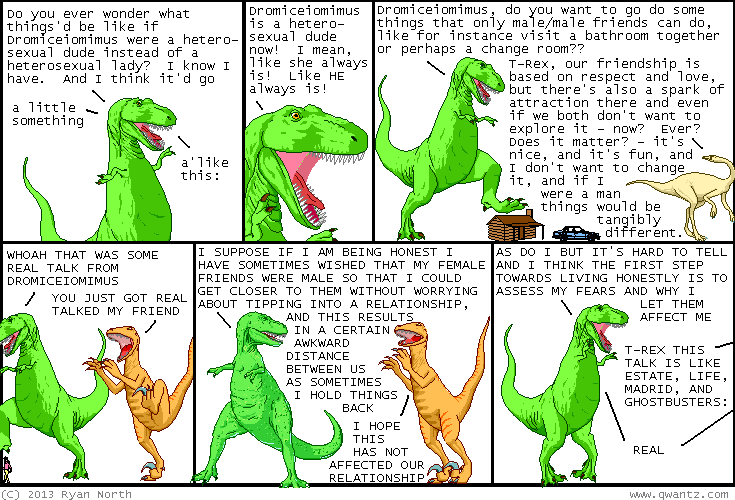 Dinosaur Comics - October 10th, 2013 - awesome fun times! October 10th, 2013: I am at New York Comic Con this weekend! Come say hi! We can share only the highest of fives!